Fill your backyard with the joyful sounds of play with this 5 ft. Turbo Tube Slide. 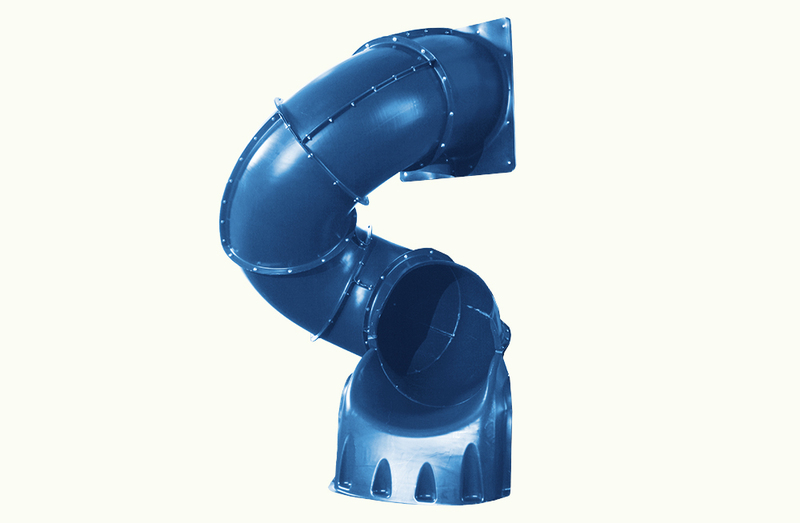 Instantly upgrade your swing set into an oasis of fun and excitement by attaching this Blue 5 foot Turbo Tube Slide to any 5 foot deck height. 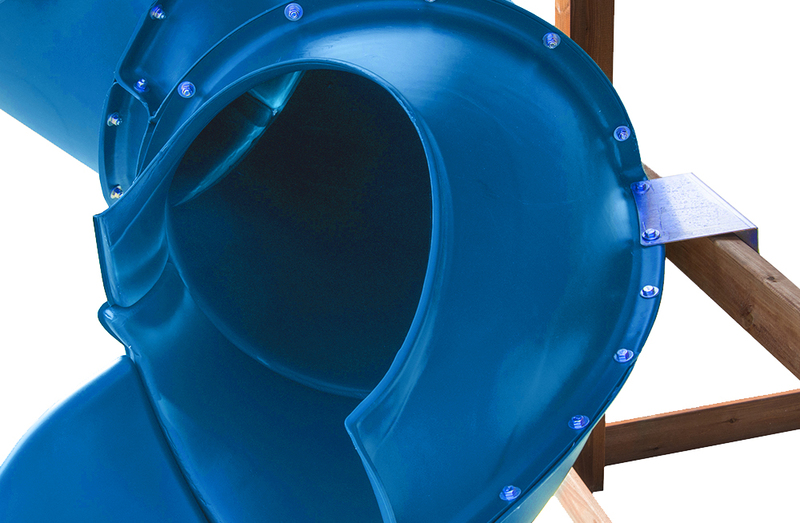 With fully illustrated instructions, this tube slide is easy to assemble and will be ready for playtime in hours. 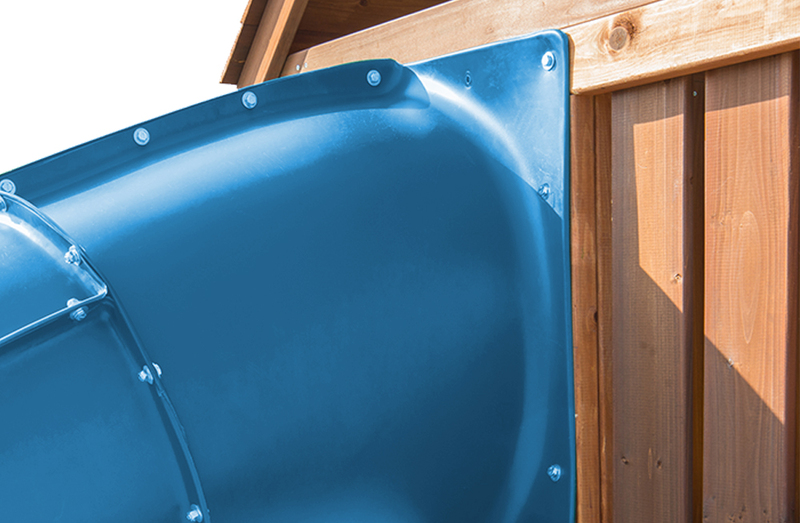 Each slide is proudly made in the USA and can support up to 250 pounds. This Blue 5' Turbo Tube Slide will have your child engaged in regular outdoor play activities which encourage active lifestyles and boost confidence. This slide offers a lifetime warranty against cracks and breaks on every slide, giving you peace of mind and long lasting enjoyment. Additional wood supports are recommended but not included with the Turbo Tube Slide to prevent sagging and movement. Simply purchase (4) 2x4x96 beams separately for mounting. 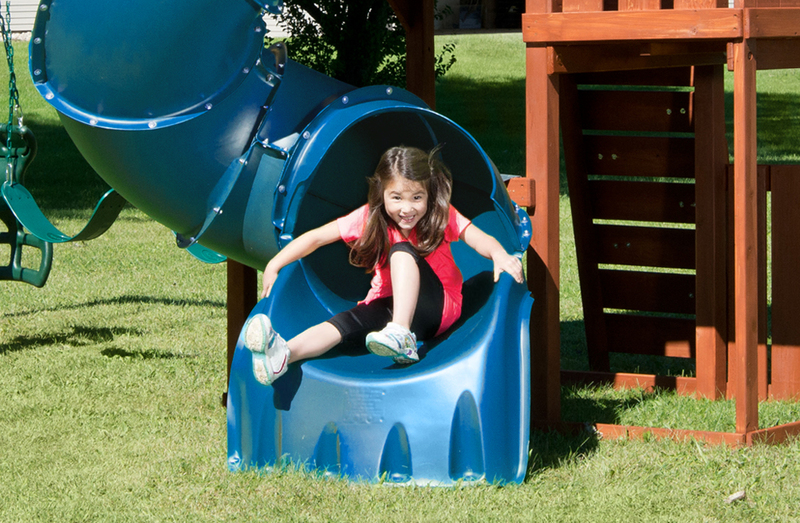 Whether you are sprucing up your old play set or starting a new project, this bold blue tube slide will transform your backyard and keep your children playing for hours.